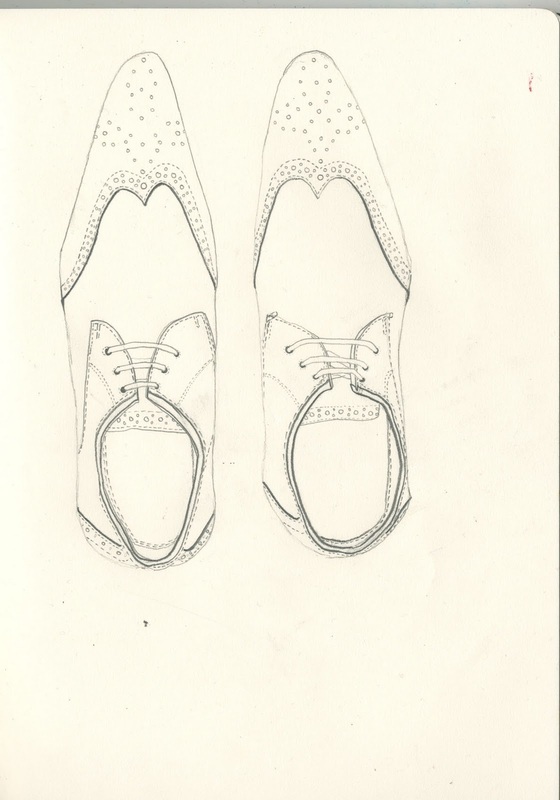 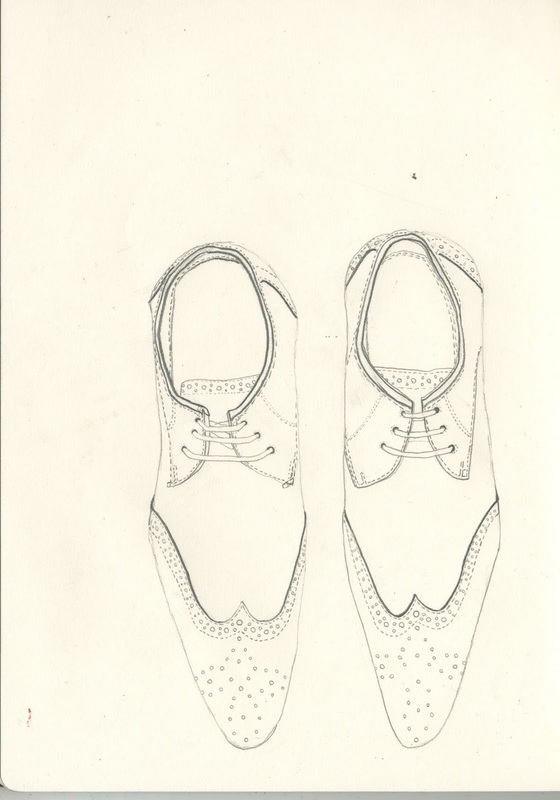 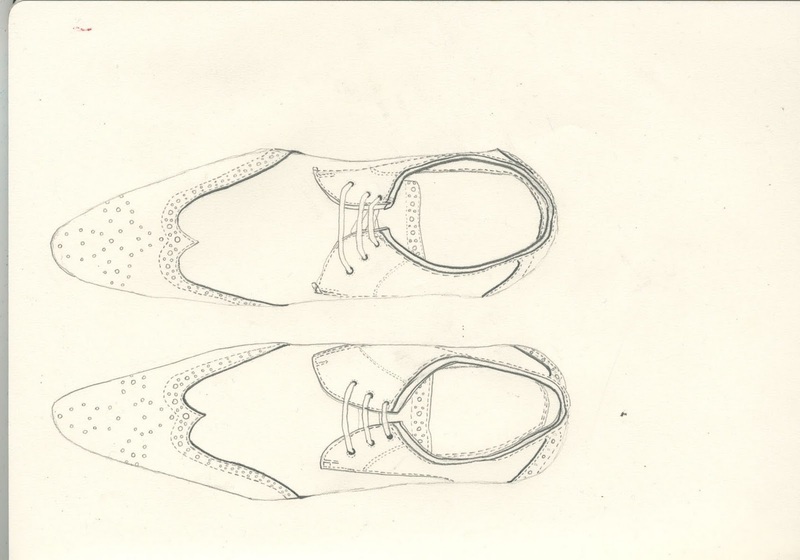 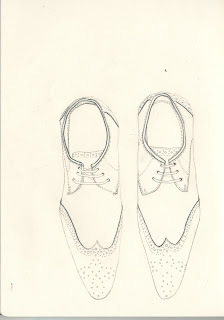 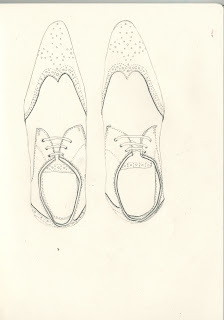 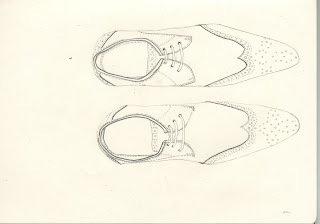 A third year fashion student at my university is putting together a magazine based on the 'classic men's brogue', and I agreed to do some illustrations to keep her articles company. 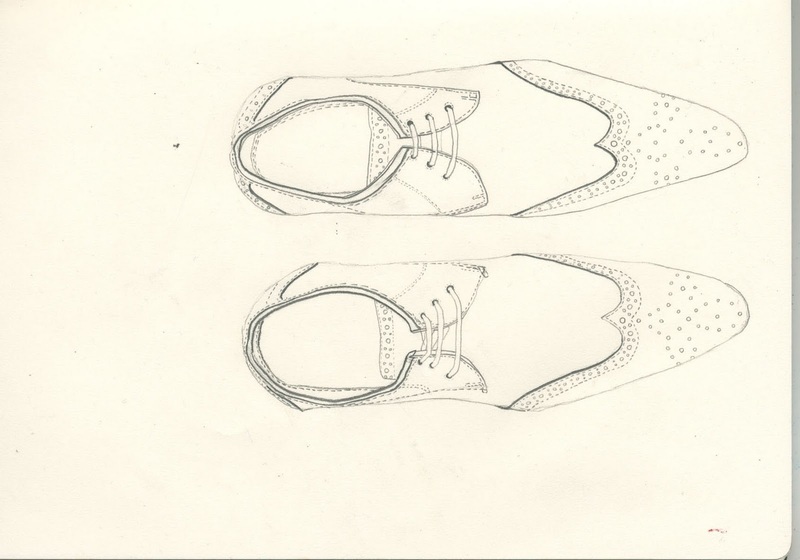 I started the process by drawing this pair today, and after scanning them in upside down it came to my attention that the shoes almost seem to take different moods or give different impressions when I look at them positioned differing ways round. 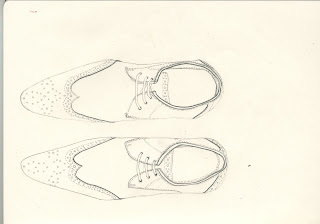 E - Selfish and sly / W - Modest and kind.